The cave is 139m deep and so big it is said that a wagon and team of oxen could turn around in the entrance. (if you intend to go, there is an information center near the entrance, and you can even get a guide). 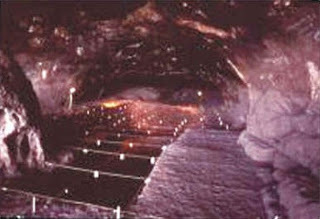 "Wonderwerk Cave is an ancient solution cavity, exposed at one end byhillside erosion, and running horizontally for 139 m into the base of a low conical foothill on the eastern flank of the Kuruman Hills. Its geological context is stratified dolomitic limestone of the 2.3 billion year-old Ghaap Plateau Dolomite Formation. Permanent water sources in the area are presently limited to a seep some 5 km to the south on Gakorosa Hill and a large sinkhole now known as Boesmans Gat (meaning "Bushman's waterhole"), about 12 km away. 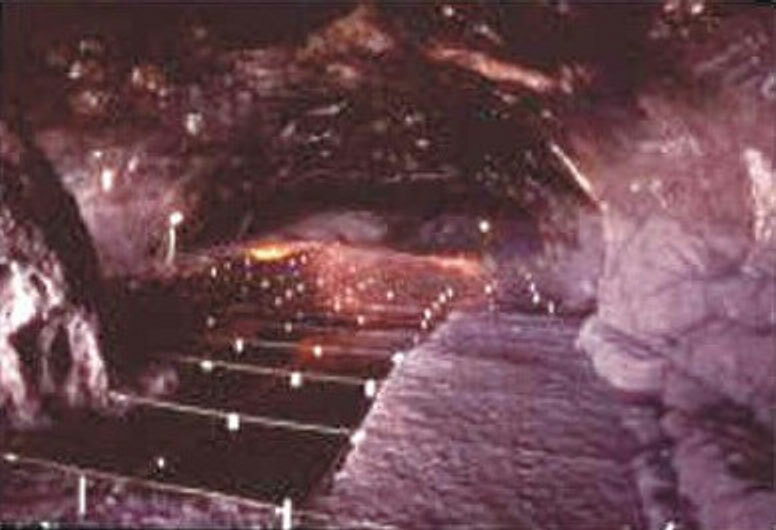 "Research has shown that bedrock in the front portion of the cave is overlain by 4 m of deposits consisting of almost horizontal layers of wind-blown dust with a variable admixture of roof-slabs. Initial radiocarbon, Uranium-series and palaeomagnetic readings indicate that the uppermost metre of sediments, 45 m in from the cave mouth, spans the past 300 000 years, while extrapolation, based on that result, suggests that the lower levels range back very much further. Palaeomagnetic evidence recently indicated that the base of the sequence may reach back as far as 1.77 to 1.95 million years. If this dating is correct.) The small irregular stone cores and flakes in those lowest levels could be Oldowan. There is archaeological evidence of human occupation in all layers, making this one of the longest inhabited caves on earth."